Originally from Reno, Nevada, Sarah E. Brook is a visual artist currently based in Brooklyn, NY. 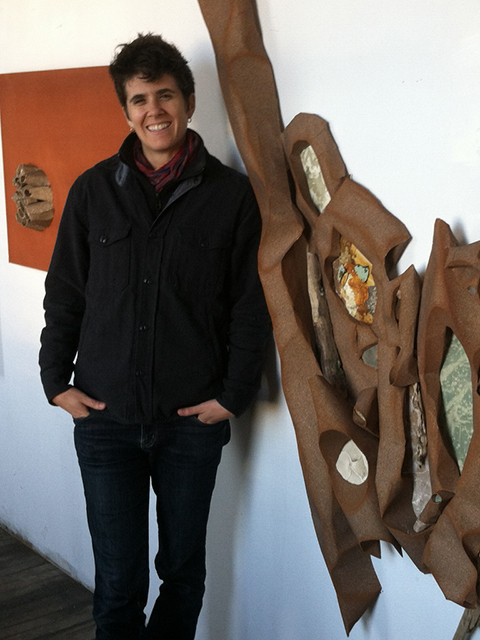 Her mixed-media practice combines painting, sculpture and assemblage. She studied fine art at the University of Notre Dame (BA, 2003) and continued her studies independently at the Art Students League of New York. Brook has exhibited her work widely in the New York area and has won multiple awards, including First Place at Viridian Artists's 25th Annual International Juried Show (NY), juried by Katherine Brinson of the Guggenheim Museum. Her work was most recently exhibited in a solo show at the Greenpoint Gallery, and in group exhibitions at the 440 Gallery, Gowanus Loft, and the WAH Center (Brooklyn). Brook was featured in Artists to Look Out For, Volume I, published by Starry Night Programs, and in Studio Visit Magazine (Winter, 2014).